We’d love your help. Let us know what’s wrong with this preview of Into the Americas by Lance Morcan. INTO THE AMERICAS (A novel based on a true story) is a gritty, real-life adventure based on one of history’s greatest survival stories. It was inspired by the diary entries of young English blacksmith John Jewitt during his time aboard the brigantine The Boston and also during his sojourn at Nootka Sound, on North America's western seaboard, from 1802 to 1805. Written by fa INTO THE AMERICAS (A novel based on a true story) is a gritty, real-life adventure based on one of history’s greatest survival stories. It was inspired by the diary entries of young English blacksmith John Jewitt during his time aboard the brigantine The Boston and also during his sojourn at Nootka Sound, on North America's western seaboard, from 1802 to 1805. To ask other readers questions about Into the Americas, please sign up. It is 1802 and apprentice blacksmith John Jewitt is living in Kingston Upon Hull and working for his father. His dreams of adventure and traveling to far off places becomes real when Captain John Salter asks him to join the crew aboard his brig, The Boston, which is setting sail to the Americas to trade muskets with the indigenous tribes who populate the new world, then sail on to China. So begins Into The Americas, an historical fiction novel and a gripping adventure story. With a great plot and storyline, plenty of exciting action, a diverse cast of colorful and believable characters and the authors well researched detail that brilliantly captures the atmosphere, customs, sights, sounds and surroundings of the period, you quickly become immersed into the world the authors have created for us. This was a very enjoyable and entertaining read - I loved it- and look forward to reading more in the future from the talented father and son team of Lance and James Morcan. I found this book as I was interested in reading something based on Vancouver Island, because my husband and I have a trip planned there. This was a brand new location and history for me to read about and I was intrigued by the descriptions throughout. I felt connected to the characters, wanted to know what happened to them next. Reading the authors' notes at the end it was a bit disappointing to learn that portions of the story were completely made up. I understand that the book is all based on I found this book as I was interested in reading something based on Vancouver Island, because my husband and I have a trip planned there. This was a brand new location and history for me to read about and I was intrigued by the descriptions throughout. I felt connected to the characters, wanted to know what happened to them next. Reading the authors' notes at the end it was a bit disappointing to learn that portions of the story were completely made up. I understand that the book is all based on a journal/diary of John Jewitt's so of course there would be parts that needed to be elaborated upon or conversations that needed to be created. However to learn that some plot lines didn't happen at all in reality was a bit of a bummer. Based on the true story of John Jewitt, who was captured and enslaved by a First Nation tribe on Vancouver island, this is an entertaining and interesting read. If you like adventure stories, or reading about the original inhabitants of North America you will enjoy this. It has inspired me to read John Jewitt's own account, which is also available on Kindle. I could see it as a movie - and a more interesting one than the Revenant. I really enjoyed the history in this novel. I hadn't heard of John before and it was fascinating to read his story, even or especially with some literary license thrown in. I really admire these authors and all of the research they do to increase our knowledge of those long ago times while still entertaining us. Another great read! Into the Americas provides an in depth look at Mowachaht culture; an indigenous people residing on Vancouver Island, British Columbia. The time frame begins in 1802, a few years before Louis and Clark reach the Pacific Northwest. On th Into the Americas provides an in depth look at Mowachaht culture; an indigenous people residing on Vancouver Island, British Columbia. The time frame begins in 1802, a few years before Louis and Clark reach the Pacific Northwest. On the other side of the world, a young accomplished blacksmith, John Jewitt, joins the crew of a merchant vessel - primarily for his skill with muskets and other side arms - seeking adventure. Rounding Cape Hope, adjusting to life at sea, John has no comprehension of what awaits the crew of The Boston!!! This story is filled with engaging action scenes - some extremely savage. The environment and characters are well developed and easy to visualize. One mildly annoying distraction for this reader: The narration has unnecessary reiterations and reminders of previous events, which could be trimmed-back; although it does provide easy to follow reading. Even so, there was ample interest to hold my attention throughout. It has all the ingredients for a motion picture. There is also a thoughtful inclusion of historical notes following the end of the story. Since I am such a fan of James and Lance Morcan, a father and son writing team, they always send me their newly launched books in exchange for a review. Which I am honored to do. As I said, I am a fan of the Morcan writing team, and i Since I am such a fan of James and Lance Morcan, a father and son writing team, they always send me their newly launched books in exchange for a review. Which I am honored to do. As I said, I am a fan of the Morcan writing team, and it all started with their fabulous The Ninth Orphan series. I have read everything they have written ever since and love how they have such a diversity of subjects they tackle. This time they have turned to the Pacific Northwest and the nineteen-year-old John Jewitt, a blacksmith from England seeking adventure, who becomes crew on a trade ship headed for the Americas to trade goods with the Indians. John Jewitt is one of the two survivors after his crewmates clash with the Mowachaht tribe. Chief Maquina holds them as slaves, and he and his friend Thompson, an amazingly tough and belligerent character (you just love to hate him) make several attempts to escape, which lend for some very tense scenes in the novel. It is a very good portrayal of the Indians and their lifestyle, but I did have a problem with the writing style, which is not their usual style at all. Rather stiff and stilted, and is the reason for only four stars. No matter, I do recommend this book, because of all of the intense research, they must have done, the interesting story of John Jewitt, and I highly recommend ANYTHING they write. Based on a true story (by the diary) of English blacksmith John Jewitt during his time aboard The Boston and during his time at Nootka Sound, on North America's Western seaboard (from 1802 to 1805). Nineteen year old John Jewitt is one of only two survivors after his crew mates clash with the Mowachaht tribe in the Pacific Northwest. They are held as slaves by Maquina, the Mowachat Chief. They make several attempts to escape. John falls in love with Eu-Stochee, a beautiful Indian. When John learns Eu-Stochee is pregnant he must choose between returning to civilization or staying with her and their newborn son. A fascinating story of one young mans courageous voyage. Well written with attention to detail, we really get the feel of what young John went through. The characters are based on real people, which adds to the intense drama. The dialog and events are true to that era. In the notes after the novel Into the Americas, the authors mention that John Jewitt's experiences on Vancouver Island in the very early 1800's were widely unknown. I had spent some weeks in Vancouver and visited the Native American museum in the area but never knew about John Jewitt. A quick internet search brought up his diaries and then there was information about the chief Maquina under that Native American history. So after being somewhat stunned at the first chapters of the book, I was eag In the notes after the novel Into the Americas, the authors mention that John Jewitt's experiences on Vancouver Island in the very early 1800's were widely unknown. I had spent some weeks in Vancouver and visited the Native American museum in the area but never knew about John Jewitt. A quick internet search brought up his diaries and then there was information about the chief Maquina under that Native American history. So after being somewhat stunned at the first chapters of the book, I was eager to read it, knowing more about its historical background. Even though this is an almost unbelievable ordeal of two white men, enslaved for two years by a Vancouver Island tribe, the authors anchored the story in facts about the Indians and their way of life so that I could soon see the events and the people involved. John Jewitt and Thompson both had beneficial skills to teach the Indians, and their relationship, both hostile and cooperating, was well developed along with the motives of the chief and his relatives. That John had "survived to tell" the events is an amazing thing. The authors amazingly could imagine details that felt convincing. The escape attempts seemed true to the landscape and the resources available. The tribal war was gory but the story was from the perspective of those enslaved to kill which made the scenes real rather than gratuitous. Although some of the dialogue seemed couched in today's language, that translated. Thompson was a seasoned sailor with much salty reaction to his plight. John was not twenty-years-old, and his being forced into a marriage with a woman attractive to him was handled with insight. This is a story of action however the action does come out of personalities. It was horrifying at times while the desperation and the despair of John and Thompson during their daily work mounted to a suspenseful telling. During this, tribal politics also came from a few key personalities. I liked reading about the chief and his first wife, Wakish, when he had other wives, and his challenger, Peshwar. That all made the ending even more dynamic, when the chief Maquina was held in the ship until the white men were released. The notes were very helpful at the end. I had to wonder what was imagined and what were the facts that the authors had for their novel. I was satisfied with what was imparted about that and felt that this novel was an excellent historical, and one that needed to be written. The Morcan writing team of father and son never fail to amaze me with the diversity of subjects they tackle to produce the most intriguing novels. Lance Morcan has turned to the Pacific Northwest for his tale about the clash between the indigenous natives and European settlers in Canada from 1802-1805. Captured by the Chief of the fierce Mowachaht tribe Maquina, John Jewitt, a blacksmith from Kingston on Hull seeking adventure on the high seas, enters a life of slavery. He falls in love with a be The Morcan writing team of father and son never fail to amaze me with the diversity of subjects they tackle to produce the most intriguing novels. Lance Morcan has turned to the Pacific Northwest for his tale about the clash between the indigenous natives and European settlers in Canada from 1802-1805. Captured by the Chief of the fierce Mowachaht tribe Maquina, John Jewitt, a blacksmith from Kingston on Hull seeking adventure on the high seas, enters a life of slavery. He falls in love with a beautiful Indian maiden Eu-stochee and marries her. Thus begins a struggle as to which culture he wants to be part of, which has been covered in other reviews. The Morcans create a gripping tale of intrigue and high adventure from an historical fact of an unusual pairing that must surmount many obstacles and differences as John straddles the fence deciding whether to remain with the Mowachaht, or return to his former life, which will be a major culture shock for his bride if he is successful. Will this lead to a sequel? I certainly hope so. John Jewitt is only nineteen he is one of two survivors after his crew mates clash with the Mowachaht tribe in the pacific Northwest. Held as slaves by the Magnina, the Mo wachet Chief. They try several times to escape. I found this book very appealing. The history of how our European culture clashed with the native Americans was fascinating. Highly recommended for a good read. It took me awhile to get through the book due to personal responsibilities that took presidence at times but I always found my way back; getting involved in this adventure filled historical that played of in the early 1800's. Based on true events I found the characters endearing and believable even touching. The strong charcaters of John Jewitt, Thompson "Father" and Maquina made this story interesting and captivating. Live back then was I received this book from the author for an honest review. The strong charcaters of John Jewitt, Thompson "Father" and Maquina made this story interesting and captivating. Live back then was hard and they had to fight constantly against nature but the strength of these people were simply remarkable. The story line's vivid writing drew you in and you became part of the life they led, the struggles they faced and the journey of self discovery, finding balance in an unfamiliar world. Getting to know how to survive in a brutal world where only the strong lived. Every scene flows beautifully into the other giving you a pleasurable read all the time. The writing was superb, the images realistic and the characters true to their own nature. Each person I met was unique carrying the story forward as part of the bigger thing...flowing with ease. The love story that unfolded also brought another element of realism in so that you truly got a wonderful image of love that conquers all. John Jewitt's character was really the anchor of the story. He brought two worlds together in a gentle ease so that co-existence were not a problem. At first a slave to the Indians John's resourcefulness showed Maquina what type of man he was causing only admiration and mutual respect in this unlikely bond. John expertly won the peoples heart by simply be himself - adapting to the lifestyle of the Mowachats. Into The Americas: A Novel Based on A True Story was written by Lance and James Morcan. It is a really good book and easy to read. It is based on the diary of John Jewitt from the 1780’s. Based on other research, the characters were filled out and the customs followed as best as possible. Lance and James Morcan do their research meticulously and in great depth. This makes their books so interesting. John Jewitt went to sea on board The Boston with the reluctant permission of his family. They had Into The Americas: A Novel Based on A True Story was written by Lance and James Morcan. It is a really good book and easy to read. It is based on the diary of John Jewitt from the 1780’s. Based on other research, the characters were filled out and the customs followed as best as possible. Lance and James Morcan do their research meticulously and in great depth. This makes their books so interesting. John Jewitt went to sea on board The Boston with the reluctant permission of his family. They had other plans for him which were definitely not going to sea. They wanted him to stay home and take over the family blacksmith business. John, however, wanted to go to sea and was given the opportunity to be the assistant to the blacksmith on board the ship. John was quite excited and got along well with most of his shipmates. The one sailor he really didn’t get along with and neither did anyone else was Jonathan Thompson, the sailmaker. He was a difficult man; but beneath his rough exterior he was a good man. While trading with the Mowachahts, one of the men raped one of the Indian maidens. The Mowachahts reacted harshly and murdered all the men on The Boston except John and Jonathan. The chief, Maquina, wanted John to fix the muskets and to make other weapons. Jonathan was alive only because he was confined to below decks at the time and was drunk. John saved Jonathan’s life by saying Jonathan was his Father. Reluctantly Maquina allowed them to live and they became slaves. The book tells of their lives as slaves and how John Jewitt helped the Indians and Jonathan Thompson. John is married to an Indian maiden to make him have more roots in the company so he wouldn’t try to run away. The book is excellent reading. - For me it had too many pages it was not blah, blah blah but what I call filler pages. Condensed would have been nice. The story evolved around John Jewitt (19, blacksmith) & his coming of age to see the world. 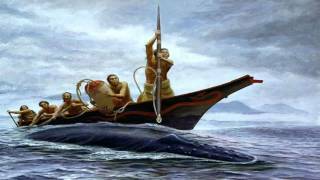 After boarding The Boston run by Captain John Salter & his crew John & Johnathan Thompson head for the Nootka village (NW Pacific region) that is home to the Mowachaht tribe. Unfortunate they are made slaves. The sailor/traders trade muskets to the N/A in return for valuable furs. Brutal bloody tribal wars, life for the 2 as a Mowachaht N/A & of course how the slaves are treated on a daily basis. Acculturation &/or adaption are quite prevalent for both sides. A very awesome book cover, great font & writing style. Wow, a very well written true or false sea-faring adventure book. It was very easy for me to read/follow from start/finish & never a dull moment. There were no grammar/typo errors, nor any repetitive or out of line sequence sentences. Lots of exciting scenarios, with several twists/turns & a great set of unique characters to keep track of. This could also make another great sea-faring adventure movie, or mini TV series. Regardless; I will still rate with 5 stars. I have been an avid follower of all books by these authors, thoroughly loving each book. This book was no exception. There is a beautiful cadence to the story, flowing at a perfect pace while striking an easy balance between detail and plot. The characters, especially the protaganist and his cohort, are fascinating in every aspect. They are deeply complex with differing motivations as they struggle to survive as slaves of the native people. Of course there is a bit of a romance, although that is I have been an avid follower of all books by these authors, thoroughly loving each book. This book was no exception. There is a beautiful cadence to the story, flowing at a perfect pace while striking an easy balance between detail and plot. The characters, especially the protaganist and his cohort, are fascinating in every aspect. They are deeply complex with differing motivations as they struggle to survive as slaves of the native people. Of course there is a bit of a romance, although that is a small contribution to the plot. Totally enjoyed this book ,once I started it I didn't want to put it down. Kept me interested to the end..Good historical book, plied with interesting details and drama...I would tell anyone to read this. This book was lengthy but I enjoyed it thoroughly. I didn't like where it ended. Lance and James did a great job. I loved this book! It was well written based on a true story. I loved the excitement and the story of survival. This embellished true story is an insightful read into the lives of the native people of Vancouver. Island around the late 1800's. A worthwhile read. Excellent historical fiction based on actual diary. I loved this story Excellent writing and wonderful weave of fact and fiction. Marvelous descriptions of both sailors, sailors lives and native lives in the first people of Vancouver. The conflict that the main character (story based of his actual diary) is woven into wonderful descriptions of everyday tasks of life as well as descriptive scenery. I loved this book. 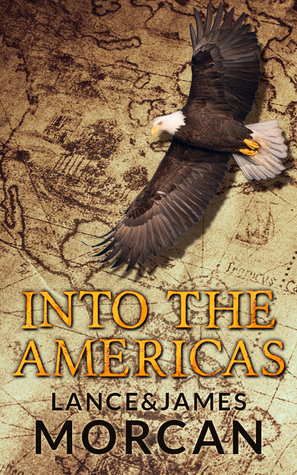 Into the Americas' is a fascinating and fast paced read. This is a well written novel and the authors skilfully weave together history, mystery, action and suspense. I really enjoyed reading this book and I would recommend it to anyone who loves a gripping historical novel.